Udemy.com provides quality online courses in different learning areas. When you order one of Udemy’s courses you will first be prompted to create an account or login to Udemy’s website, if you already created your account. 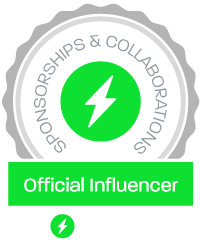 When you get to the Udemy website using one of the links provided on our website, you can create a free account either using your Facebook account or by using your email address and a password. Occasionally you may get coupon codes with discounts for some Udemy courses. 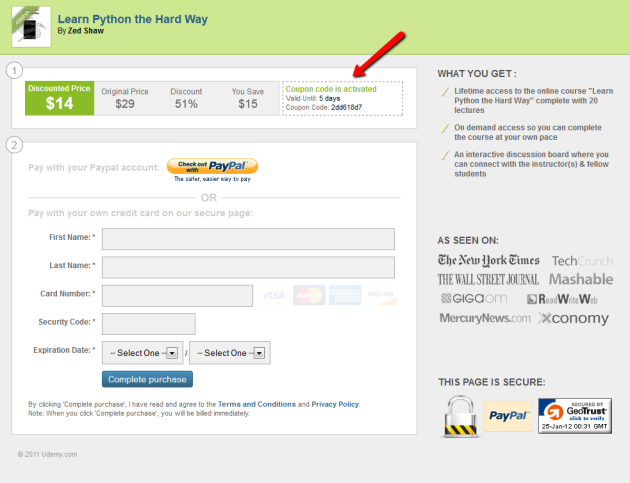 When you go to the checkout page, you have an option to enter a coupon code (if you have one). 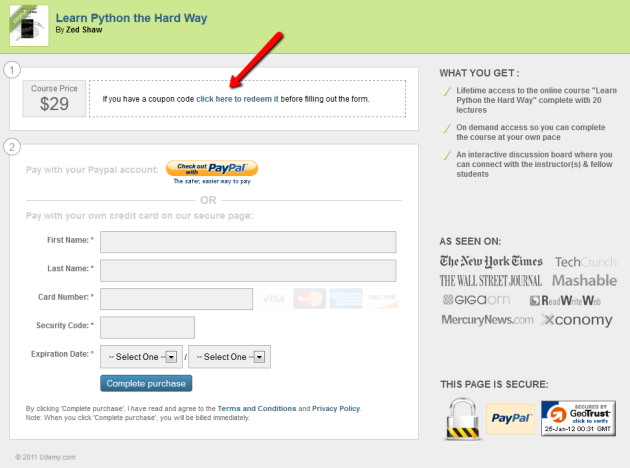 See the images below for the steps needed to enter a coupon code. Click on the link that says: “If you have a coupon code Click here to redeem it before filling out the form”, at the top of the page. 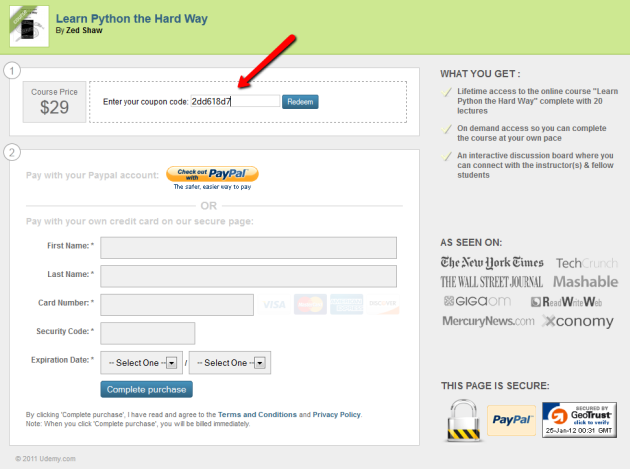 Enter the coupon code in the text field and click “Redeem”. Review your coupon code savings, then fill out your billing information to complete your order. You may pay with PayPal or with a credit card. 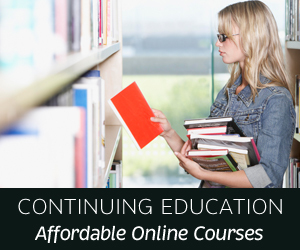 Go to our main page to select an Udemy course that interests you. Click the banner below to access it!